Do you ever see yourself trekking the John Muir Trail, and pitching a tent after a long day’s hike? Does the idea of hunkering down for the night in the side of a mountain snowbank sound like a good time? Or, is setting up shop near a fire ring at the local state park as wild as you'll get? 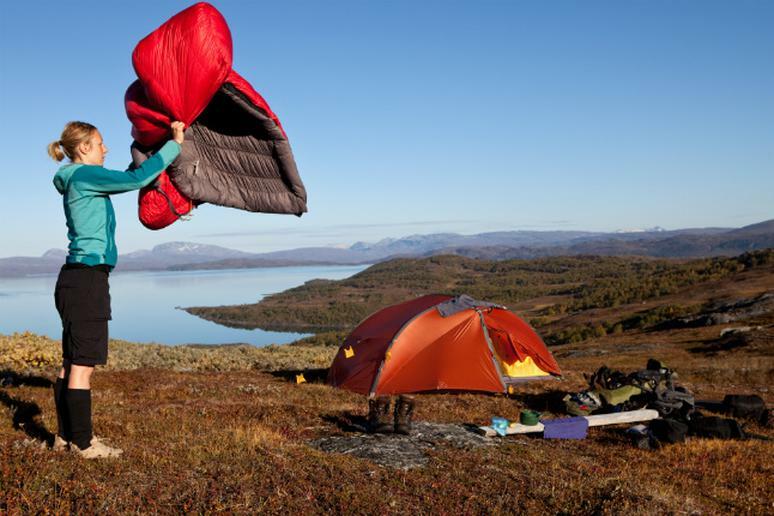 Wherever you set up camp, there are some straightforward, but absolutely necessary considerations to take when choosing the sleeping bag that best suits your needs. Backcountry camping involves a kind of self-sufficiency that requires smart packing and simplifying. Since you're carrying your bedroom on your back, the name of the game is what you need, not what you want. That's why backpackers who log hundreds of miles typically want bags that will compress to the size of a large grapefruit, take up little space in their pack, and shield them from the elements in all variety of conditions. 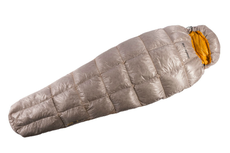 Check out our top 12 sleeping bags of 2013. Car camping, on the other hand, is about bringing civility to the great outdoors. The fair weather aficionados often prefer larger, posher accommodations that work as well at the campsite as they do in the backyard. Many sleeping bag manufacturers know this, and they create specific bags that offer more resting real estate, savvy creature comforts, and zip in/out combinations that allow you to dial in your experience, cuddle with a partner or convert your bag into a comforter. No matter your preference, the fundamental consideration of any discerning camper is to goose, or not to goose? There are two primary sleeping bag insulators—goose down and synthetics. The most popular is down, which, generally speaking, beats synthetic in terms of warmth, packability and weight-to-warmth ratio. Nothing warms quite like Mother Nature, and a good down bag, if properly cared for, can last very a long time. There are trade-offs, though. Down is significantly more expensive than synthetic, and when down gets wet—a loathsome experience I've enjoyed more than once—you're hosed. The goose feathers lose their loft and, with it, much of their heat-holding capabilities. You won’t find many people backpacking with down bags in the Pacific Northwest. Synthetics, on the other hand, continue holding heat when wet. Recently, though, gear companies have developed workarounds—bags with waterproof/breathable membranes, and down treated with a hydrophobic, moisture-repelling coating—that are changing this dynamic. Fill power measures the goose down’s ability to trap air and, thus, trap body heat. Down sleeping bags with a high fill power are more resilient to compression forces, tend to loft more and are warmer. Sleeping bags with a higher fill rating need less insulation by weight to provide the same level of warmth as those with lower fill. An 800 to 900 fill rating is top-of-the-line—very warm, very light and, yes, very expensive; a fill rating of 500 to 600 is still very good, but not as warm, light or costly. Now that you've got the basic knowledge to choose the right sleeping bag for your needs and budget, check out our slideshow of the top 12 backyard and backcountry sleeping bags of 2013. We've included five options for backyard and car camping, three lighweight three-season bags for backpackers and four year-round, all-weather sleepers for the hardiest of campers. Click here for our 12 favorite backcountry bedfellows.